Skip Hire Hertfordshire, Skip Hire Bedfordshire. Professional, reliable local skip hire service. Serving Harpenden, Hertfordshire and surrounding villages. 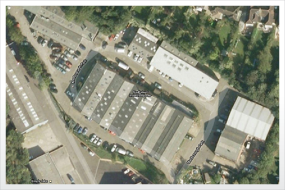 Who are Harpenden Skip Hire? As one of the South East’s leading waste management companies and with over twenty years experience in the waste sector, Harpenden Skips provides a full range of waste analysis and removal services for your sites anywhere in the South East. From the smallest mini skip to the largest roll-on roll-off waste container and from a 4-wheel tipper to a 32-tonne 8-wheel grab wagon, we can manage any quantity of waste. In addition to waste removal, we provide a range of waste management and site services from SWMP management and recycling reporting through to site accommodation and road sweepers. Harpenden Skips has a strong reputation for providing high levels of service to its clients. This is achieved by a total commitment to customer service by its directors and staff. Quite simply nothing is too much trouble and all attempts are made to ensure customer satisfaction. 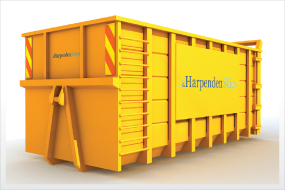 Harpenden Skips specialise in providing expert solutions for both domestic and trade waste requirements. Why choose Harpenden Skip Hire? At Harpenden Skips we pride ourselves on our great customer service in addition to the highly competitive skip hire prices we are able to offer. To find out more or to hire a skip, please call our team on 01582 765657 or request a call back using our contact us page. Our secret to achieving such a reliable service is our extensive regional network – this network means we can provide great rates for both domestic and commercial customers, allowing you to benefit from affordable skip hire wherever you are based. 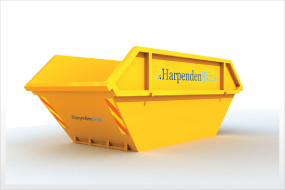 Whatever waste management or skip hire service you are looking for, you can rest assured that Harpenden Skips will be able to meet your requirements quickly and easily – leaving you to get on with the job in hand. Whilst many skip hire companies can be less than flexible – we know that reliability is what really counts, and make it our business to provide you with the skip you need, when you need it. Regional skip hire has never been easier!